Pregnant women who smoke are being encouraged to give up cigarettes for a healthier pregnancy as part of a new campaign. ‘Love Bump’ will run in Nottingham and Nottinghamshire and urges women to think about the harm cigarettes do to their unborn babies. Officially launched by the Nottingham City Health and Wellbeing Board on Wednesday 27 March, the campaign will work with mums-to-be, midwives and health visitors to raise awareness of the dangers. Smoking while pregnant and immediately after having the baby harms both the baby and mother. It increases the risk of stillbirth and is a major factor of low birth weight and many other health issues. Almost twice as many women in parts of Nottingham are smoking during pregnancy when compared to the national average. In Nottingham City, the rate is 17.2% compared to 10.5% nationally. In Mansfield and Ashfield, the rate is 23%. Nottingham City Council is working to raise awareness about the need to stop smoking in partnership with the NHS in the city and wider county, the mental health trust, councils, midwives in hospitals and the community, as well as community groups that work closely to support families with young children. Cllr Sam Webster, Portfolio Holder for Adult Social Care and Health at Nottingham City Council and Chair of the Nottingham City Health and Wellbeing Board launched the campaign with an appeal for pregnant women to get help and support. He said: “We know how hard it is to give up smoking. No one is saying that this is easy, but we are asking pregnant women to be more aware of the facts about smoking and the harm it is doing to their babies. “Our message is clear: If there’s one thing you change for the health of your baby it’s to stop smoking. 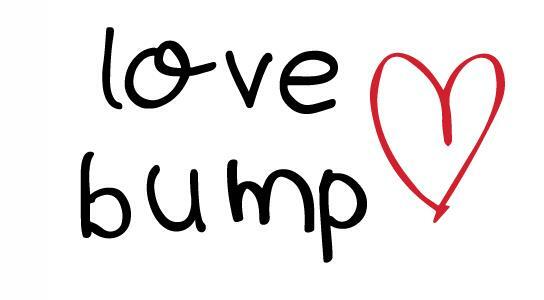 As well as awareness raising, the Love Bump campaign will provide a toolkit of information for every midwife and health visitor in the area to help with conversations about smoking in pregnancy. 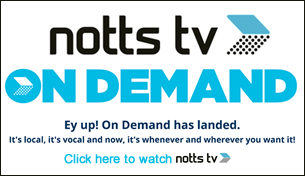 A dedicated website – www.lovebump.org.uk/Nottinghamshire – has been created with useful information, videos and signposting to stop smoking services. Dr Hugh Porter, a GP and Vice-Chair of the City’s Health and Wellbeing Board added: “We have to take action to help women to stop smoking. Smoking just one cigarette in pregnancy is like putting a baby in a smoke-filled room for 15 minutes and makes the baby breathe 4,000 chemicals. Danielle has two children: Darcy-Mae (11 months) and Myla-Rae (1 month). She gave up smoking during both of her pregnancies. “I’d smoked for over 10 years, since I was about 15 years old,” she says. “It was definitely a habit, usually about 15 to 20 cigarettes a day, or sometimes more if I was socialising or stressed about work. “Then I found out I was pregnant. As soon as I did the test, I stopped smoking straight away. It was an easy choice for me. I could just imagine the smoke going down through me and into the baby. Even when my baby was just the size of a grain of rice, I knew I had to stop smoking. “The unborn baby is human life – it’s your job as a mother to protect your baby, even before it’s been born. Your baby hasn’t made the choice to smoke so why should it have to have all that smoke? “My pregnancies weren’t planned; I’d never really thought about having kids so I’d never before considered the impact our actions have on them. But I didn’t need to be told to stop, I just knew. Danielle started to smoke again after the birth of her first baby Darcy-Mae, although it was fewer cigarettes than before she was pregnant. “I used to smoke outside the house after she was born and I would try to stay away from her immediately after I’d smoked, but I carried on because I wanted to. “Then I fell pregnant again when Darcy-Mae was seven weeks old, so I stopped again. It was a bit harder the second time, but I knew I had to do it. Smoking is a leading cause of death, illness and poverty. It represents one of the biggest global challenges to public health. Worldwide, tobacco represents the single biggest preventable cause of death. In 2014, 78,000 deaths in England were attributable to smoking, which represents 17% of all deaths and a third of deaths from conditions that can be caused by smoking. Up to two thirds of life-long smokers will be killed by smoking, but years of life can be added by quitting. The trend of reducing prevalence of current smokers observed nationally has been mirrored in Nottingham City in recent years. However, the proportion of adults who are current smokers in Nottingham City remains significantly higher than England: 19% of adults in Nottingham are current smokers.